He began his studies in the Union Musical de Llíria, Higher Conservatory of Valencia with teachers Rafael Tortajada and Joaquin Vidal. “Final Studies Award” in the RCSMM with Juan Abad. Granted by Musical Youth of Spain was taught by K. Brown, C. Chevalier, G. Millière, B. Slokar, D. and E. Lasalle Leger. 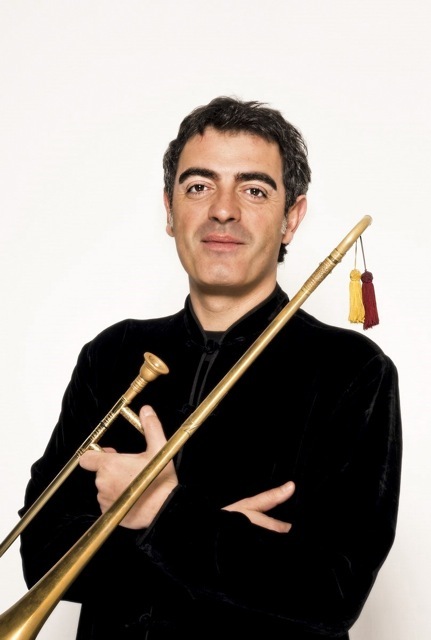 Winner of the VI International Trombone Competition “Citá di Asti” and II prize of “Concours International de cuivres anciens of Toulouse”. He has played under the direction of J. Savall, Lòpez Cobos, Ros Marbá, Semyon Vychkov P. McCreesh, W. Christie, M. Minkowski Frübeck of Burgos, I. Bolton …. He has recorded for: NB, Naxos, Deutsche Grammophon, Alia Vox, etc .. He teaches trombone and camera at RCSMM and historical trombone in ESMUC.